It was opined by the court that the civil suit and criminal defamation both stand on different footing and can be tried simultaneously. 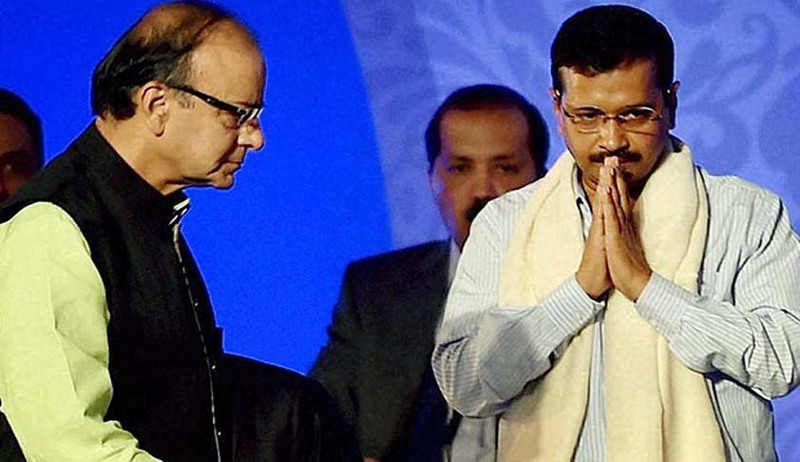 The Delhi High Court on Wednesday dismissed a petition filed by Delhi Chief Minister Arvind Kejriwal to stay a criminal complaint until the proceedings in a defamation case filed by Union Finance Minister Arun Jaitley pending disposal of the civil defamation suit between them. On 19.05.2016, an application under Section 309(2) of the CrPC was moved by Kejriwal before the Chief Metropolitan Magistrate, Patiala House Courts, New Delhi, with the prayer to stay the hearing of the criminal complaint until the civil suit before the high court was decided. Vide order dated 19.05.2016, the CMM observed that no stay of the proceedings can be granted on account of pendency of civil suit before this court. Senior Advocate Ram Jethmalani, appearing for Kejriwal, argued that the civil suit filed by Jaitley and the criminal complaint in question were based on the same facts and allegations and, thus, the criminal proceedings for defamation may be stayed as per Section 309(2) of the CrPC. He further argued that if both the proceedings are allowed to be continued simultaneously, it can cause harassment and embarrassment to the accused in the criminal proceedings. It was further submitted that this court is a court of record, and the findings recorded by this court in the civil suit is binding on criminal court which in the present case is subordinate to this court. It was further submitted that in criminal cases the burden of proof is beyond reasonable doubt and in case Jaitley (respondent) loses the civil case, it is impossible that he will succeed in the criminal case. He also argued that if the criminal case and the civil proceedings were for the same cause, the judgment of the civil court would be relevant if conditions of any of Sections 40 to 43 are satisfied. It was further observed that after remand of the matter, civil proceedings as well as criminal proceedings were required to be decided on the basis of evidence. Justice PS Teji observed that Section 10 of the CPC provides for stay of the civil suit in which the matter in issue is directly and substantially in issue in a previously instituted suit between the same parties, or between parties under whom they or any of them claim litigation under the same title where such suit is pending in the same or any other court in India. It is not the case of the petitioner that any civil proceedings have been initiated by him or by respondent no.1, in which the issue is same. In the present matter, though respondent no.1 initiated two proceedings i.e. one criminal and the other one civil, the fact remains that same are distinct and separate cases. The court held that the petitioner cannot get the stay of the criminal defamation case at hand by claiming the benefit under Section 10 of the CPC.